Studying US History (Environmental Policy of Westward Expansion) in the 90's, I read some great books. I always asked (and continue to do this today) for books "on the edge" of what I'm studying. I will always remember reading "The Feminine Mystique" as a student in Mexico (studying at UNAM). I had an English copy, and finished in less than a week. "Because of the feminine mystique, it is the jump from amateur to professional that is often the hardest..."
My question to readers today: What's blocking YOUR jump to being your best? I'm really very excited about this year. In case you haven't been following along (Twitter, Facebook, LinkedIn, etc)...It's already started off well. Here's hoping 2010 is a good one too (see #81 in the picture!). 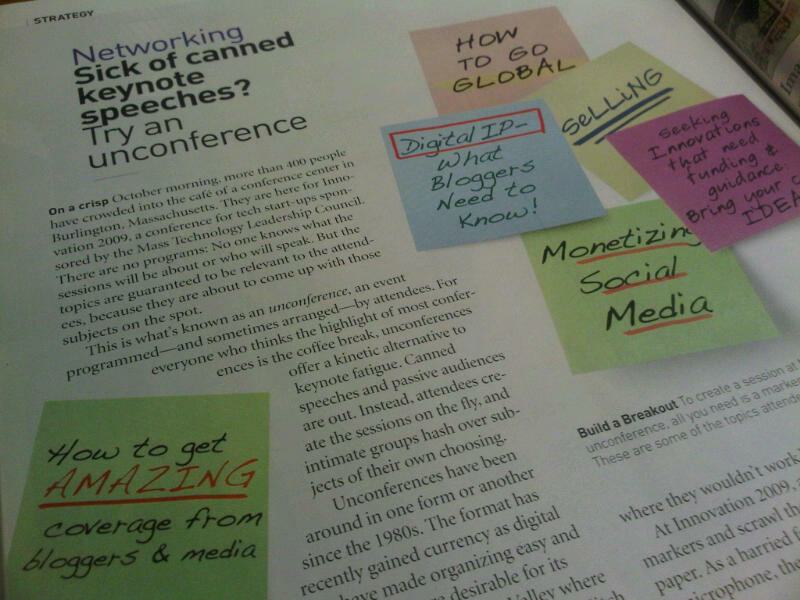 The Womack Company (that's us) is a lead sponsor of the London unconference coming up soon. One of our goals at the Womack Company is to help 1,000 people start off 2010 with the inspiration, motivation and education to make more things possible. We want you to start your year off right! Consider the work you’re already planning to do over the next few months...perhaps there’s a project due in the next 30-60 days that you want to complete on time and on budget. Or, maybe you volunteered for something and now you’re trying to figure out to add this to your already full plate. Use “The Promise Doctrine” to help guide you through to success. After 14 months of writing collaboration, my father, Craig, and I have published a new book “The Promise Doctrine”, a guidebook and system for consistently delivering on your promises and we have developed workplace seminars on the same subject. • get better results from work relationships. Yes, I’m asking you to purchase a copy or several copies of our book to help us build “best selling” momentum for the book and our programs today. To purchase a signed copy. When it’s clear where you’re headed, you can be true to your word. Being true to your word encourages achievement, honesty, and teamwork in all areas of life and work, and...everyone wants that! PS: Purchase “The Promise Doctrine” between now and Thursday and you may get a bonus! Yes, that’s $160.00 worth of super-sized content for less than $8 dollars (to cover shipping and handling). We know making changes in our habits takes commitment, effort and new input. We have heard from hundred's of clients who have attended our Workplace Performance seminars that having this information changes the way they work; and, the way they feel about their work. If you’re one of the lucky five, we'’ll contact you directly. Gather a crowd, ask a BIG question, and see what happens! 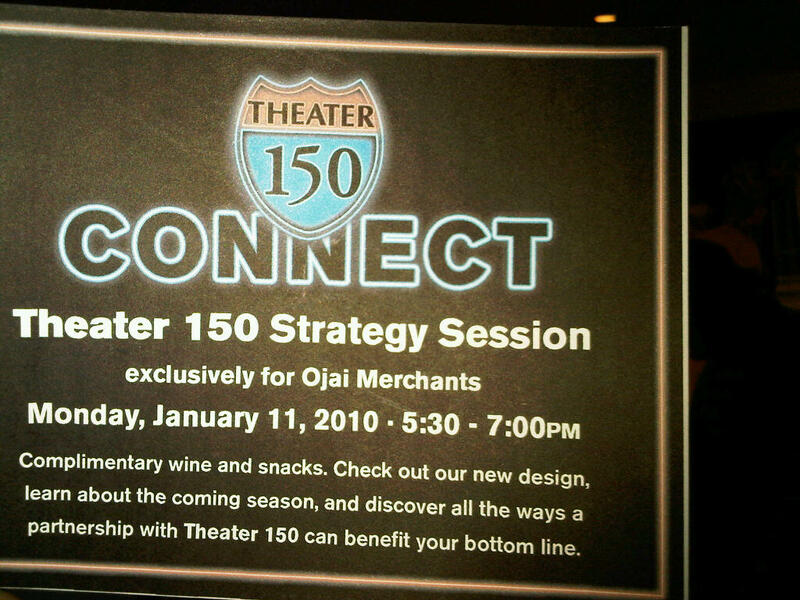 I've lived here in Ojai since 1996 and this "strategy session" looks interesting. Build a mini-website / landing page so I can see just a little bit more about what this is about. It has me thinking about what I can do, as I travel around the world speaking about our book as well as presenting the Workplace Performance seminars. My next opportunity to join like-minded people is our monthly Geek Breakfast (check it out on Facebook!) this Friday. See you there. What are you saying yes to? ...that's where energy goes! 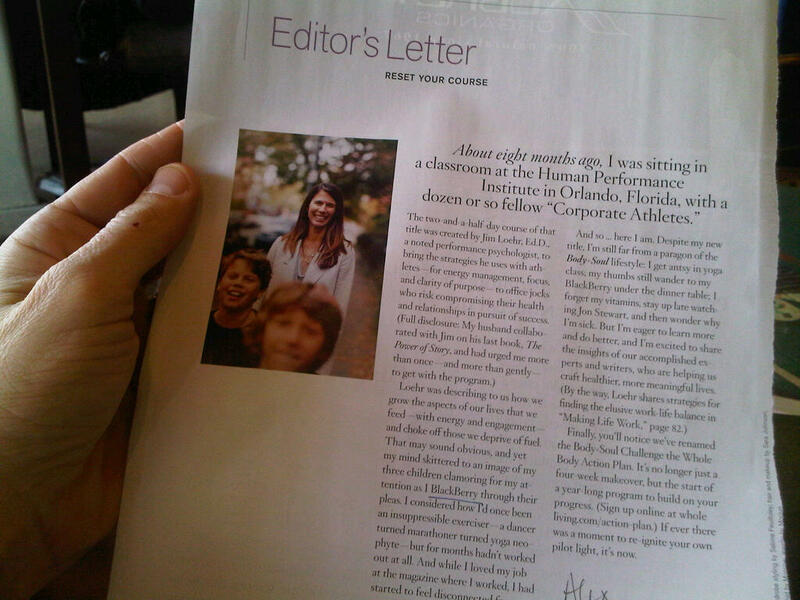 I was very inspired today reading the Editor's Letter in Body + Soul recently. Alexandra Postman, your letter could easily be a second forward for our book (The Promise Doctrine)! If you get a chance, but only have a moment, skip to paragraphs 2 and 4 - she makes the case for, and then gives an idea to, managing your energy...not just trying to get more done, be busier, and work harder. Last night - New Year's Eve, that is - someone asked what I was planning to do today. On the top of the list, read cover to cover the book we wrote (takes me about 35 minutes, I've done it 4 times now...) and fill out a Promise Guide. Hoping you have a New Year goal-setting process, too!